Chief knife is great tool for many of the daily tasks required in a kitchen. But if you need to separate meat from bone, then it won’t help you at all. The boning knife is a perfect solution to easily, and neatly, separate meat from bone. Easy to use and functional, boning knife will be a time and effort savor in any kitchen. 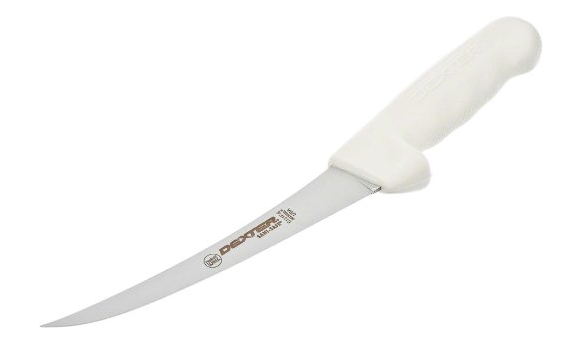 Sharp and easy to sharpen, the Dexter-Russell (S131F-6PCP) – 6″ Boning Knife will always be your reliable choice to break down meat like chicken, fish and more. 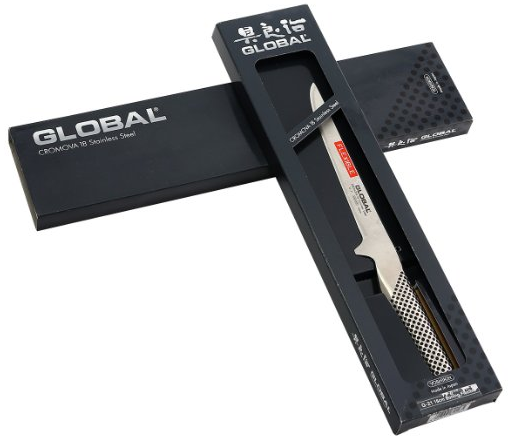 The knife has curved, flexible blade which features a sharp end for entering and slicing up fish or poultry. It also comes with Grip-Tex handle that seals out any bacteria and provides an easy grip for user safety. A great boning knife that is easy on the wallet. Make separating meat from bone a breeze, whether cooked or uncooked, with the J.A. 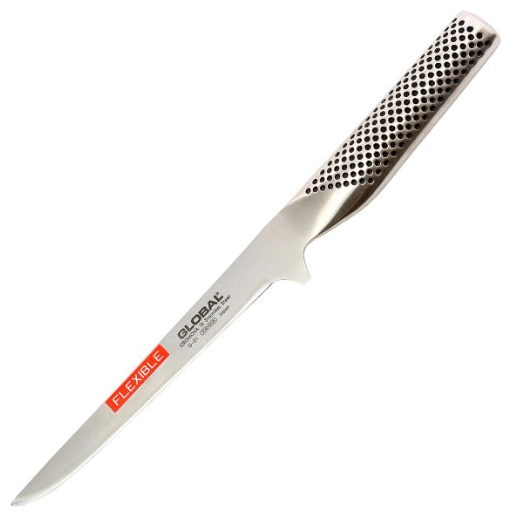 Henckels International Forged Synergy 5-1/2-Inch Boning Knife. 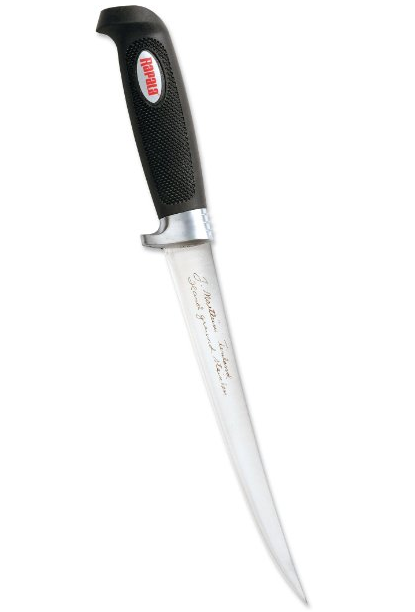 This 5-1/2-inch boning knife with contemporary design features fully forged stainless steel blade with satin finish. The molded POM handle with full rat tail tang provides comfortable grip and excellent balance. Great for anyone looking for something works great and is affordable. Looking for an excellent boning knife at a reasonable price? You will love the Rapala4 Soft Grip Fillet.Knife. Equipped with the famous Rapala flexible stainless steel blade and a no-slip, soft-grip molded textured handle, this knife provides maximum control and comfort while filleting. Also comes with its own sleeve for safety and a single-stage sharpener to keep your knife in peak performance. 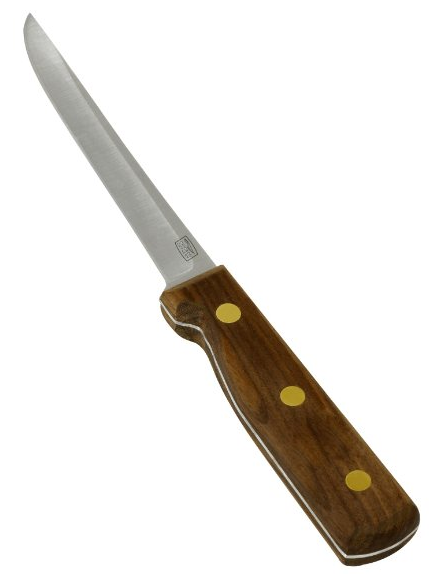 Perfect for separating meat from the bone, and for all-round slicing, the Chicago Cutlery Walnut Tradition 5-Inch Boning/Utility Knife make a great tool for any kitchen. This 5-inch boning/utility knife features high-carbon 420 stainless-steel blade that resists rust and stains. The classic styling of beautiful wood handle is secured by triple-compression brass rivets for safety and stability. Hand wash only. Cut the meat off of the bone easily and quickly with the help of the Global Cromova G-21 – 6 1/4 inch, 16cm Flexible Boning Knife. This 6-1/4-inch boning knife with flexible blade is excellent for professional chefs and discerning home cooks alike. The blade is made of high-tech molybdenum/vanadium stainless steel for maximum sharpness. Its stainless-steel handle is molded for comfort, dimpled for safe grip. You will also love its lightweight design which helps reduce hand fatigue and provides greater control.